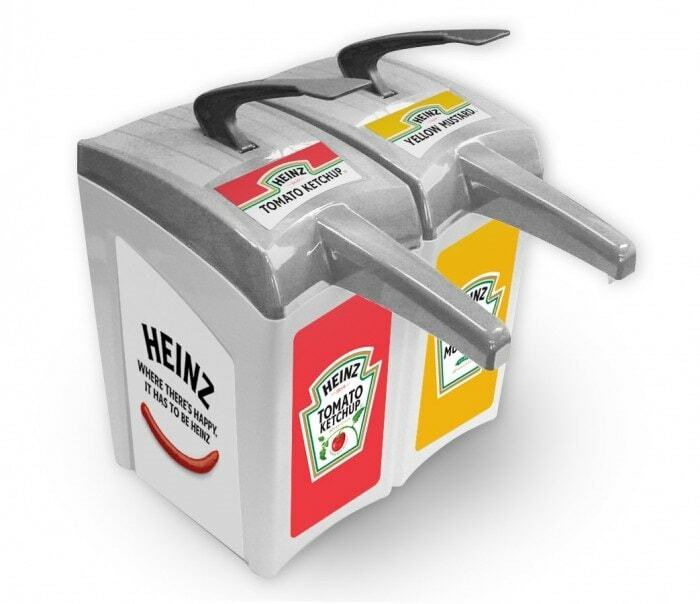 Classic Heinz branded condiment dispenser. 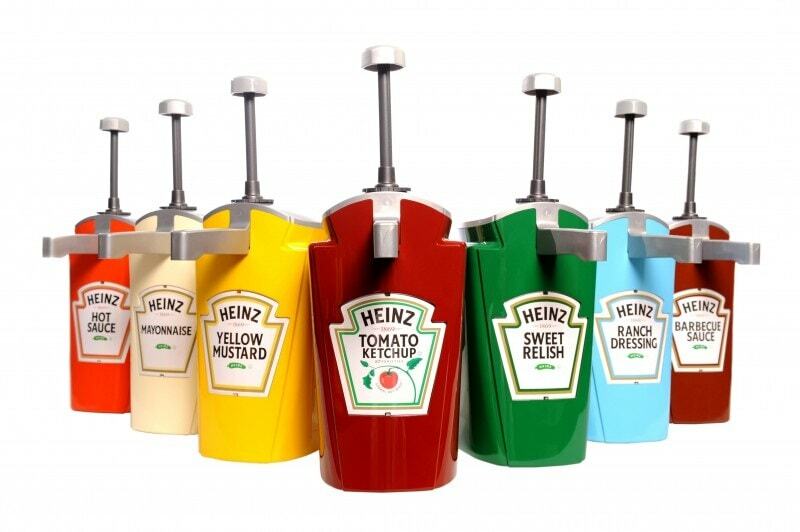 Attractive and contemporary design, superior quality feel reflects the premium brand of Heinz. Extremely durable and reliable. Compatible with 1.5 gallon dispenser pack SKU's. 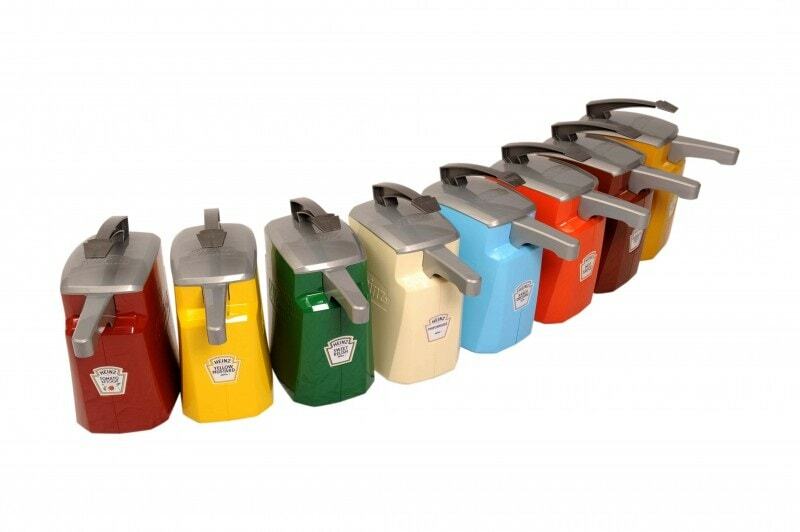 Miniature version of the classic Heinz Keystone dispenser. 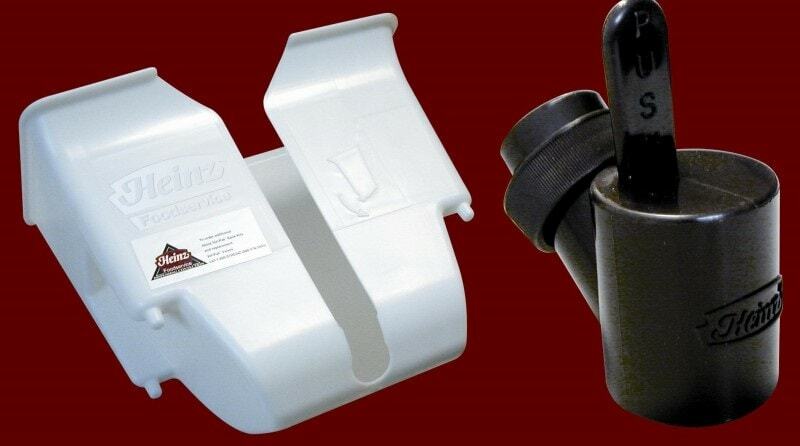 Retains the durability and quality of the Keystone dispenser, and is optimized for smaller footprint environments. Compatible with .75 gallon dispenser pack SKU's. 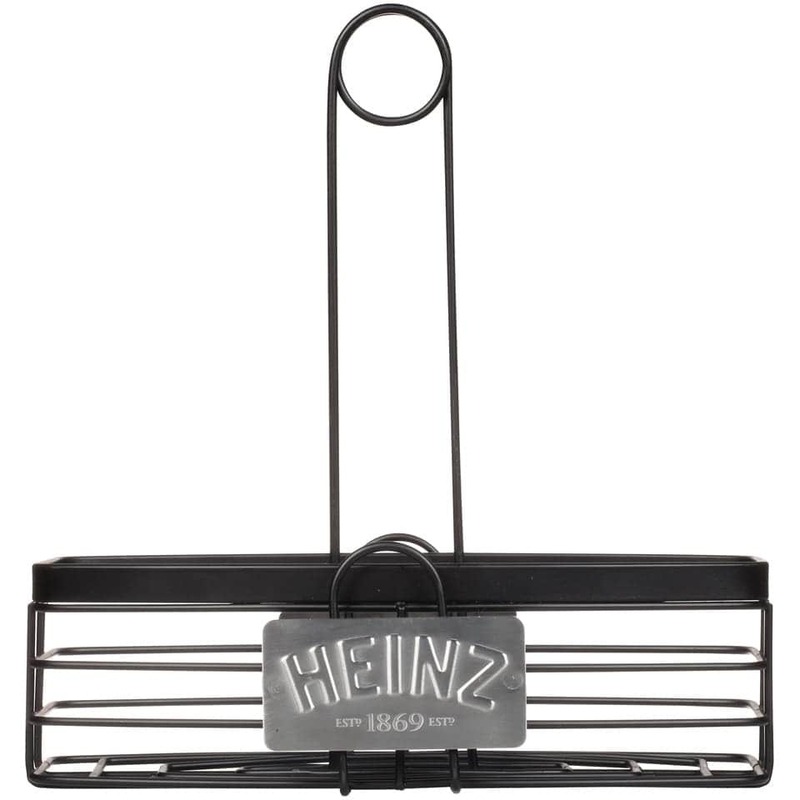 Heinz branded wire caddy with classic Heinz logo embossed on faceplates. 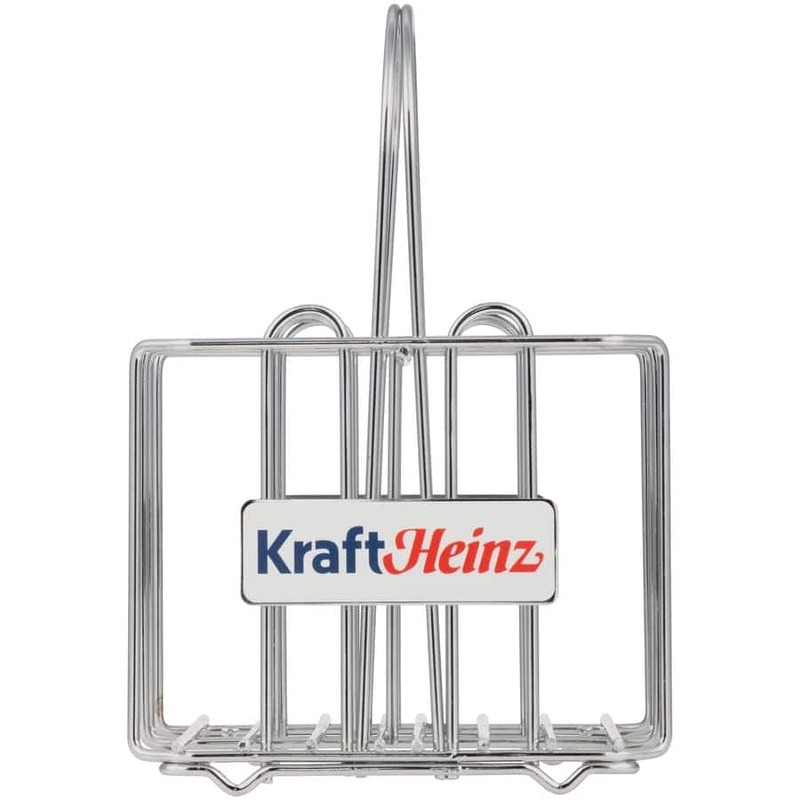 Black wire frame provides a durable, quality feel for displaying all Heinz condiments on tabletops. Rack and valve kit for use with 3 gallon volpak SKU's. Rack allows for wall mounting and valve ensures freshness between uses. Curtis G3 Airpot system. 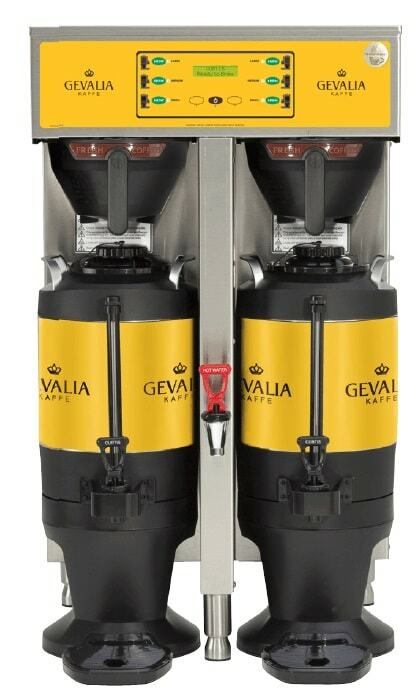 Easy operation and reduced maintenance for use with roast and ground packs. 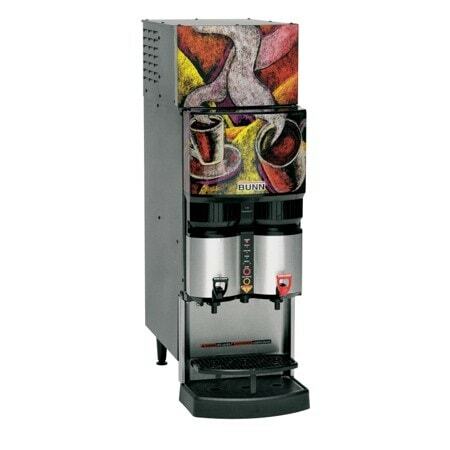 Automatic Coffee Urn - 10 gal. 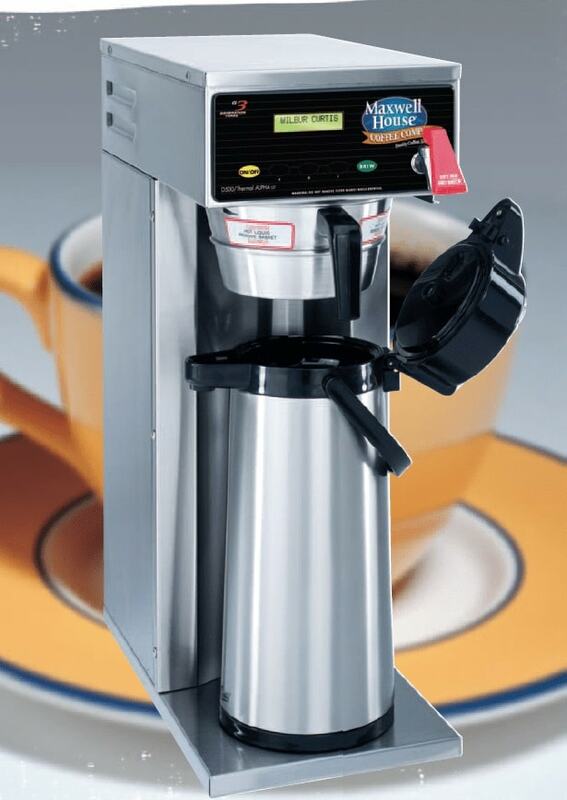 Manufactured to the highest quality standards, Curtis urns make brewing large volumes of coffee fast and easy. Heavy gauge stainless teel with electrically welded seams. 10 gallon version. 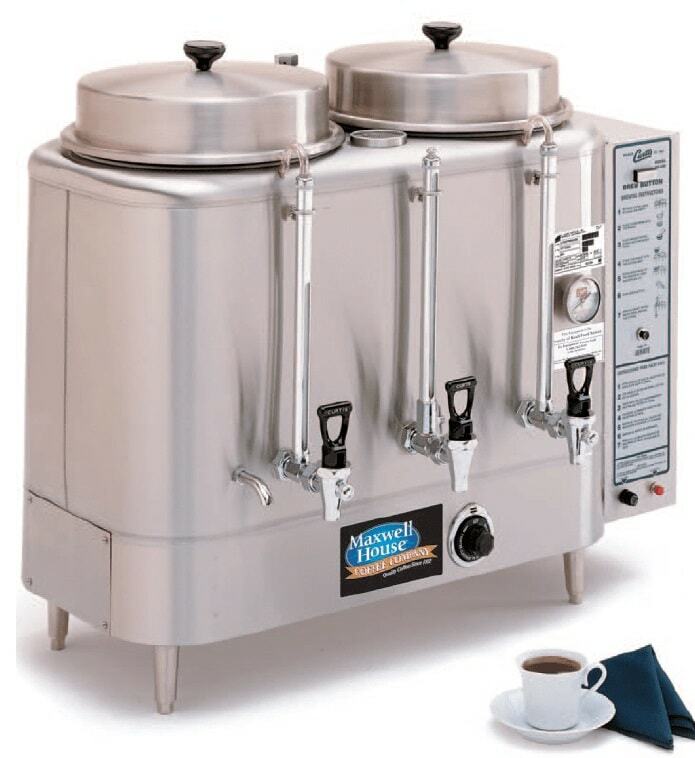 Automatic Coffee Urn - 3 gal. 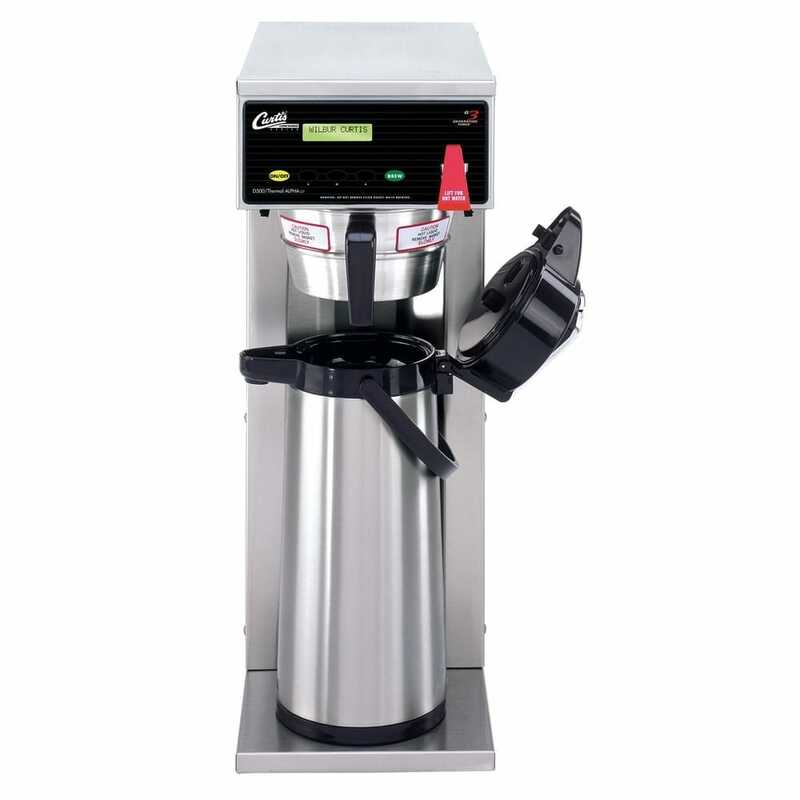 Manufactured to the highest quality standards, Curtis urns make brewing large volumes of coffee fast and easy. Heavy gauge stainless teel with electrically welded seams. 3 gallon version. Automatic Coffee Urn - 6 gal. 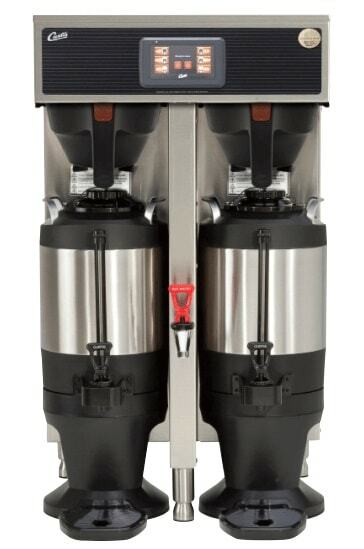 Manufactured to the highest quality standards, Curtis urns make brewing large volumes of coffee fast and easy. Heavy gauge stainless teel with electrically welded seams. 6 gallon version. 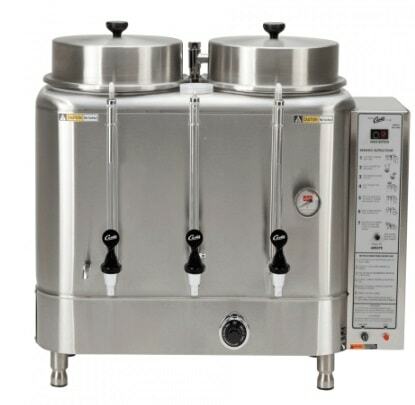 Oval tea dispenser with enhanced mixing chamber for blending of bag-in-box concentrate and fresh water. Crystal Light branding available. 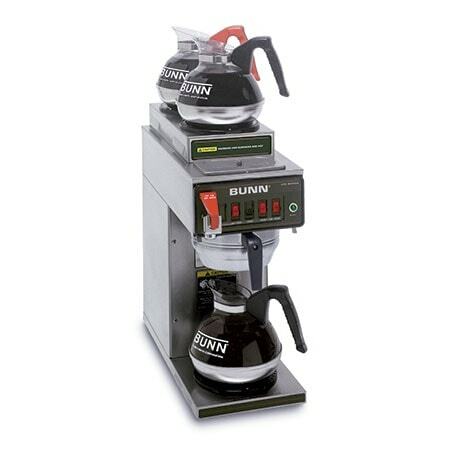 Bunn decanter style brewer. Stainless steel construction. Hot water faucet. Brews 3.8-7.6 gallons of coffee per hour. Curtis G3 decanter style brewer. Simplified brewering, incredible coffee flavor, and reduced maintenance. Gevalia branding available. 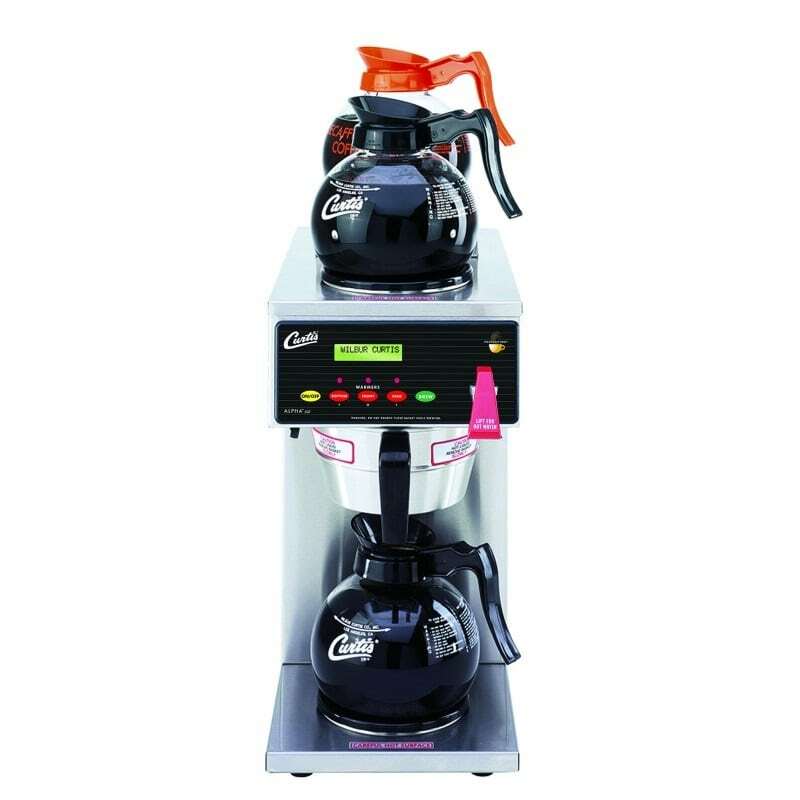 Curtis G4 technology makes serving hot fresh coffee even easier with its simple, intuitive, icon-driven interface. On screen instructions provide training to reduce service calls. Vaccuum sealed servers keep coffee fresh, hot, and flavorful. Gevalia branding available. Keystone dispenser with two slots and pumps that can be customized according to any condiment combination needs. Designed and implemented for K-12 programs. Branded single serve jelly caddy for use with all Kraft Heinz jelly brands. Pump for use with #10 jug SKU's. Dispenses condiments in a simple, food-safe manner. 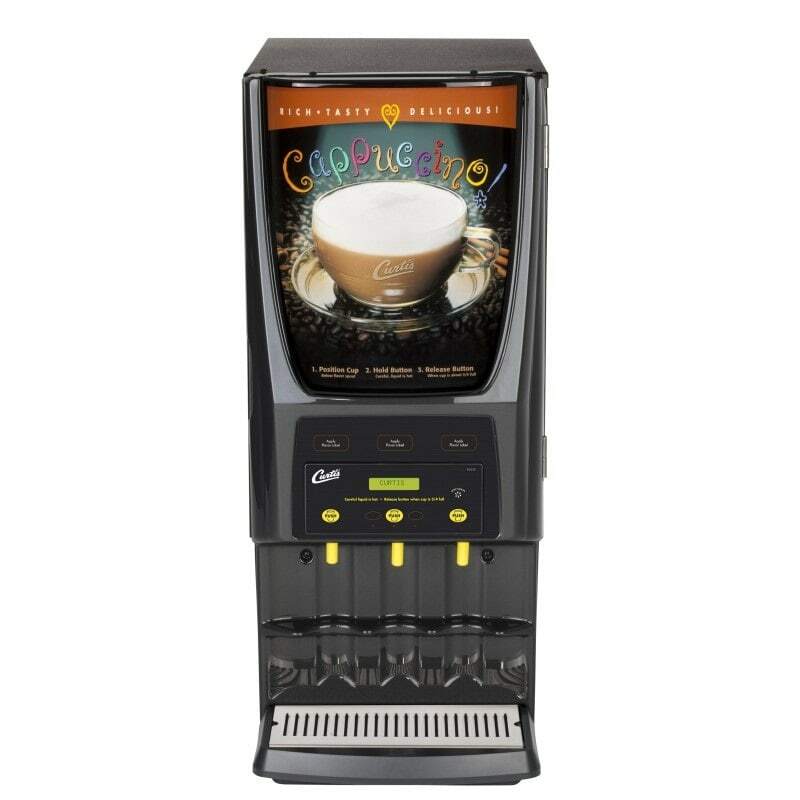 Curtis G3 hot powdered cappuccino machine. LCD digital display, precision programming, touch controls, and on-board diagnostics. General Foods International branding available. Liquid coffee chilled dispenser. 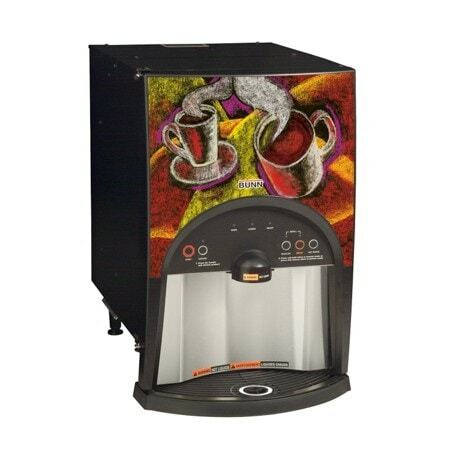 Dispenses two coffee products and hot water. Chilled cabinet for optimal performance. Liquid coffee refrigerated dispenser. FlavorGard technology ensures flavor consitency throughout the day. Easy to program modules for self serve applications. Curtis G3 Airpot system. Easy operation and reduced maintenance for use with roast and ground packs. Maxwell House branding.